Manav Rachna International University has been a veritable ground for fostering creativity and talent. By putting together Zonal NASA 2016, a four day premier architectural convention—from 2-5 November, 2016–attracting Eminent Architects and 2200 students of Architecture from across India, it has once again added another milestone to its already illustrious legacy. The Convention featuring seminars, lectures panel discussions, workshops on bamboo, folding in architecture (origami architecture), brick jaali, and events such as glass painting, best out of waste, soap carving, canvas painting, wall graffiti, there will be much for the aesthetically inclined. 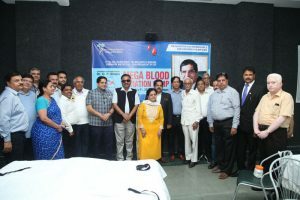 What’s more, the Convention is expected to earn a place in the Limca Book of Records with the world’s largest Footprint painting that would be put together at the event. 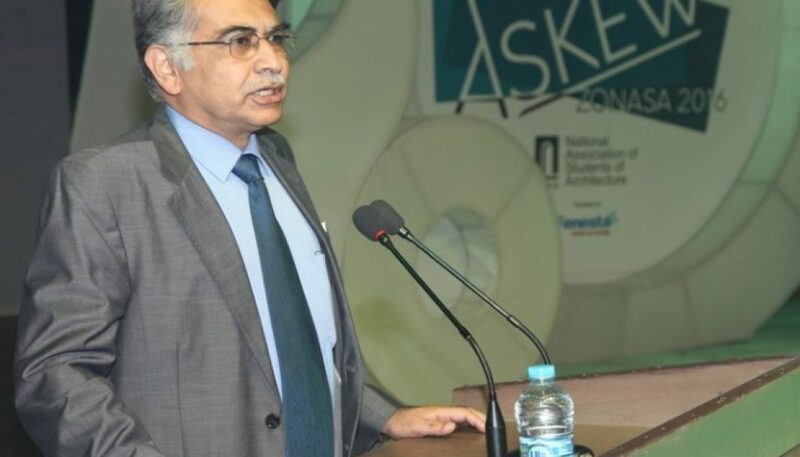 A slew of around 59 Colleges including Amity University, G.D. Goenka, Sushant School of Art and Architecture, MBS School of Planning and Architecture, Jamia Millia Islamia are participating in the event. The theme for the Convention is ‘askew’, drawing inspiration from the late Ar Zaha Hadid’s architectural philosophy. The Convention, is in fact, a tribute to her pioneering work. The Convention inaugurated by Dr N.C. Wadhwa, VC, MRIU was graced by a host of dignitaries from the world of academia and architecture such as Leading Architect Dr P.S. N Rao , Chairman Delhi Urban Art Commission as Chief Guest; Mr. Wajid Khan, Nail Artist as Guest of Honour; Dr Sanjay Srivastava, MD, MREI; Dr. Anjali Krishnan Sharma, Dean, Faculty of Planning and Architecture, MRIU and Ar Vijay Garg, Vice President, Council of Architecture, among others. What makes this Convention noteworthy is the fact that the National Association of Students of Architecture (NASA) is one of the largest Architectural Student organizations in the world. NASA conducts Annual conventions, Zonal conventions, Workshops, Seminars etc for the exposure of the students. At MRIU, Zonal NASA 2016 is packed with an interesting lineup of events that are as creative as they are path breaking. To further add pep to this mind-blowing event, Punjabi singer Indeep Bakshi is expected to set foot tapping with his rhythmic Punjabi numbers. At the inaugural day itself, there was a batch pinning and flag hoisting ceremony of participating colleges, along with presentations on the theme and dance performances by students. 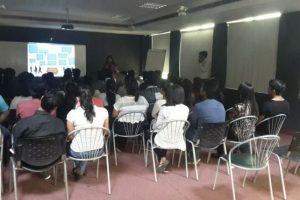 Debeshi Chakraborty conducted seminar on the topic “Dezine Careers”. 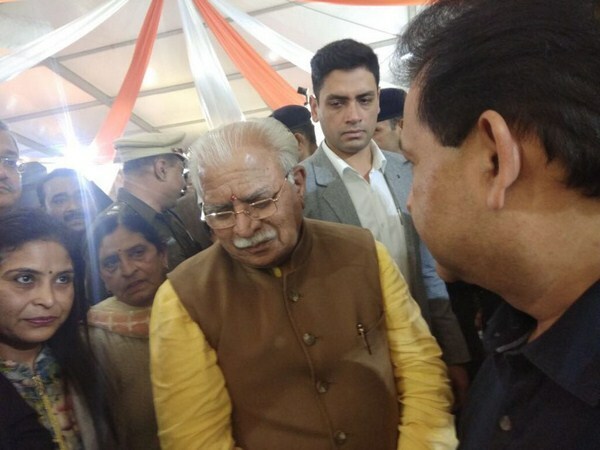 Manav Rachna’s work draws great admiration from Hon’ble Chief Minister of Haryana Shri Manohar Lal Khattar at IITF 2017!